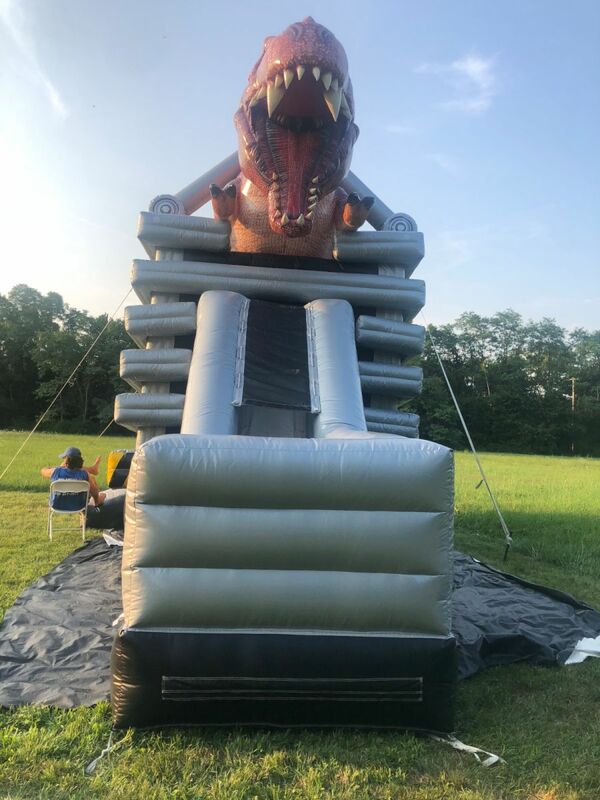 Our T-Rex Dinosaur JUMP AND Slide Combo is the only dinosaur inflatable attraction in all of Long Island . The T-Rex features life-like graphics that makes its enormous body a work of art! The details of the skin and the sharpness of its teeth is guaranteed to stand out more than anything you've ever seen. We want to hear you ROOOOOAR! 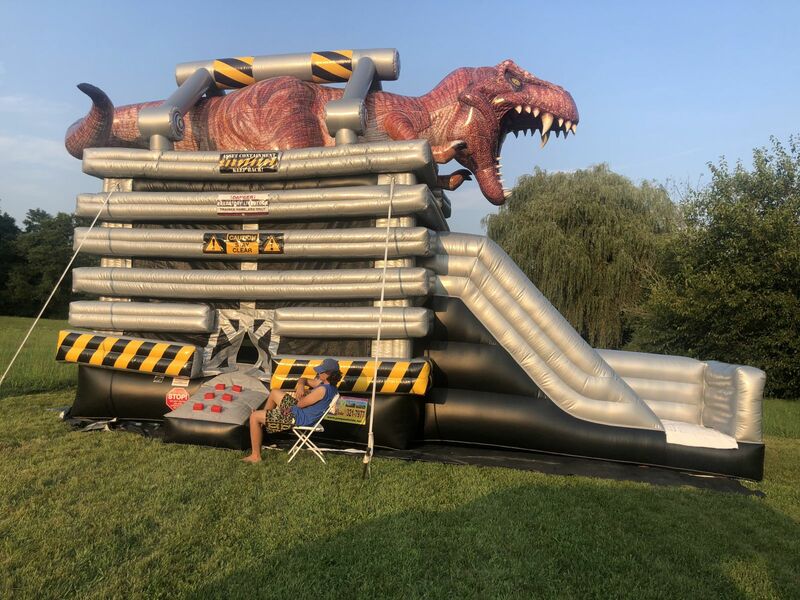 Don’t be afraid of T-Rex, he just wants you to have fun. Kids and adults will be blown away when they see it. 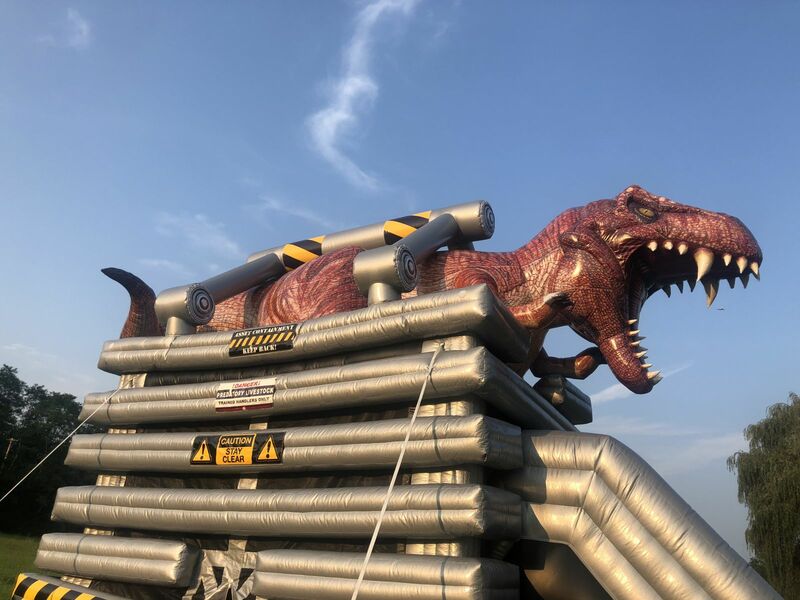 The bounce house is located on the inside of the T-Rex's cage. And the fun slide is accessible from inside the bounce house. 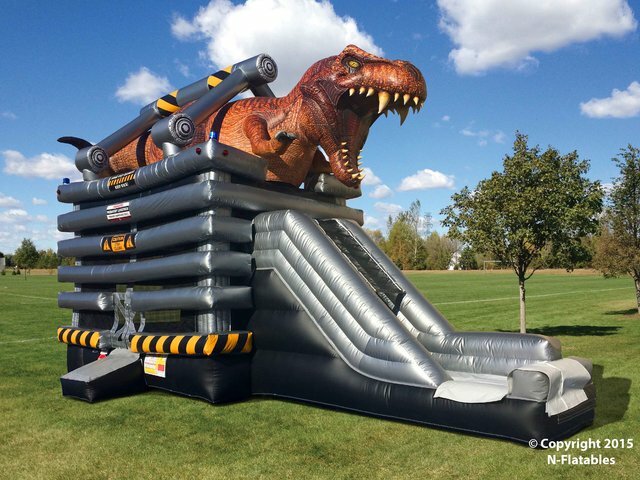 Renting the T-Rex Combo is a no-brainer for dinosaur enthusiasts, special event planners, and activity directors.